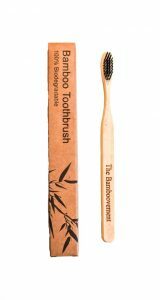 The biodegradable bamboo toothbrush from The Bamboovement is ideal for conscious travelers looking for new ways to reduce their ecological footprint. Brushing your teeth with a pure toothbrush will leave you with a natural smile for the rest of the day! The toothbrush itself weighs about 8 grams, almost half the weight of a regular toothbrush. 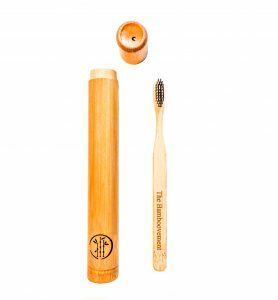 The handle is made of 100% bamboo and the bristle hairs are soft or medium and are made of biodegradable bamboo and nylon fiber. The case is ideal for storing your toothbrush in a clean and safe place.